Hey, I've got a project I'd like to share, which greatly streamlines the process of writing layouts for SC2. 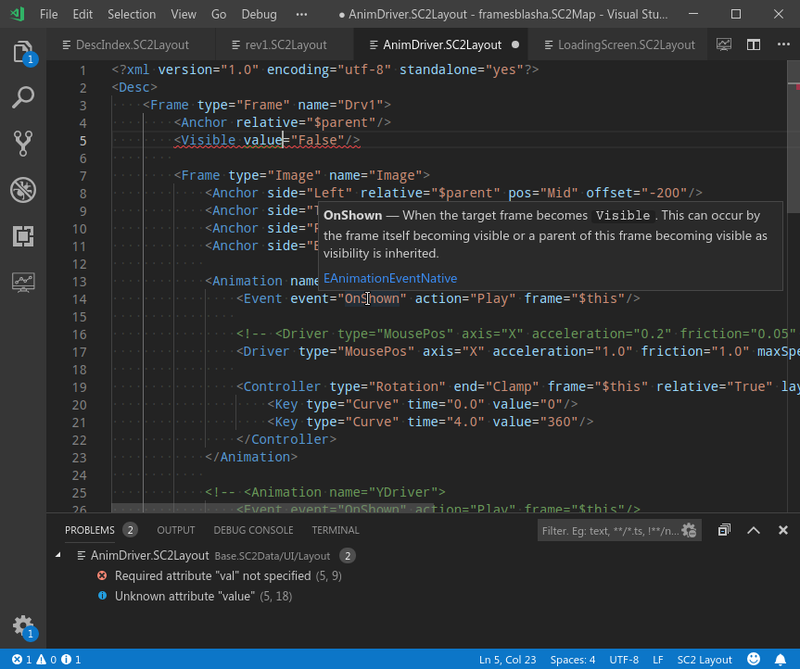 Visual Studio Code extension introducing support for SC2Layout language. 1. Is Visual Studio Code free? Yes, it's completely free and open source. It should not be mistaken with Microsoft Visual Studio which is entirely different product. 2. How long does initial setup take? - Save your map files as ".SC2Components". - Open map folder in editor as new workspace.